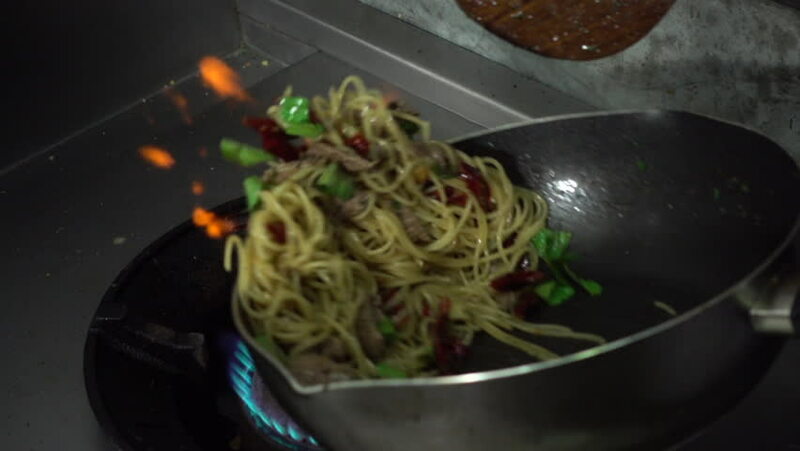 Slow motion - Chefs is preparing and cooking spaghetti food at the kitchen of a restaurant. hd00:38Chopped Ginger and garlic being added and mixed in fried onions while cooking. 4k00:11Famous Chef Works in a Big Restaurant Kitchen with His Help. Kitchen is Full of Food, Vegetables and Boiling Dishes. Shot on RED EPIC-W 8K Helium Cinema Camera. 4k00:13Close-up of a Chef Preparing Flambe Style Dish on a Pan. Oil and Alcohol Ignite with Open Flames. Shot on RED EPIC-W 8K Helium Cinema Camera.